Love the case and the hint of pink! Wow, this looks so cool. What a great review! Awesome colors! Love the review. Such a cool design. Love black, grey and pink together, too. that case is so cute!!! i love it!! My iPhone is still rocking its plaid case, but I'm really thinking about investing in a Case-Mate case this upcoming February. This looks like a fun case. 60s patterns and styles make such a statement in today's fashion. I have always adored mod dots! Love this print! I like the little bit of pink! Oh my gosh I love it! And I agree I have a dash of the sixties in me! Too bad I don't have an IPhone, or else I would scoop this up! Oh I love the dots...so modern and delightfully 60s. I love this case and your whole subtle nod to the hippie/60s! --I'm such a slave to a good iphone case! That case is super cute! I don't have an iphone, so my phone is not rocking a case at all. I used to keep it in a clear plastic case. but now it's nearly 4 years old and if it dies, it lived a long life! That is cute & I love the colors! 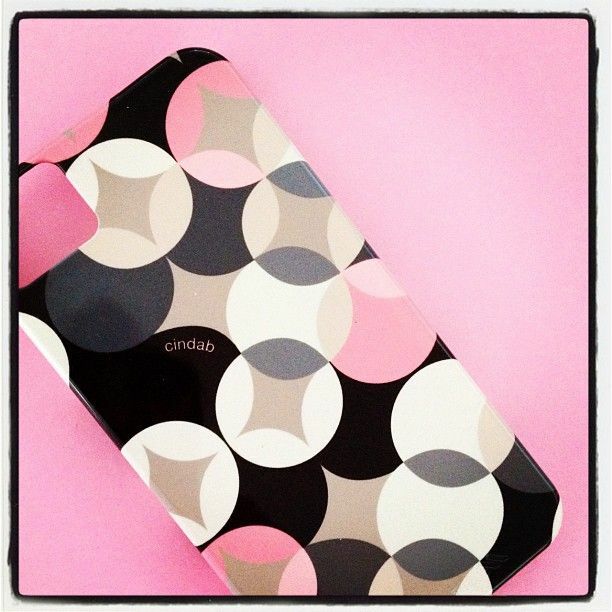 want it for my phone..
love that case! Super cute!! That's a really cute case! I have one that's great for protection, but I don't really like the color. You are inspiring me to get a new one! It does have that Andy Wharhol Op Art chic! I'm an actual product of the 1960s and remember the impact these kinds of accessories had on the fashion, art and ad world . . .